Many people say they’ll save whatever money is left over at the end of the month. Essentially, they agree to pay themselves what’s left. As you probably know, the problem with the idea of setting aside whatever is available at the end of the month is that there is a strong temptation to spend on “must have” items. By the end of the month, there is no money left to save. Instead of relegating money for savings to what’s left over at the end of the month, it makes more sense to make saving a priority. Whether you put money in a savings account to pad your emergency fund, or whether you put it in your retirement account, setting money aside should be the very first thing you do. Saving money for the future is more important than going out to dinner or buying a new blender. Think about what you want to be able to do in the future. None of that will happen if you haven’t set aside money now. Take an honest look at your budget and make changes so that your focus on savings comes before you spend money on fun, but unnecessary, items. One of the best ways to save money is to do so as soon as you are paid. The usual advice is 10% of what you make, but any amount that you can comfortably do is better than not saving at all. Put that money into savings immediately, before you have the chance to spend it. Put that money in a place that’s hard to get to. Having it put someplace that requires time and effort to access will discourage you from turning to the money whenever you think you have an “emergency.” Keep that money somewhat out of reach, and you will have to take a step back and evaluate the situation before you pull it out. 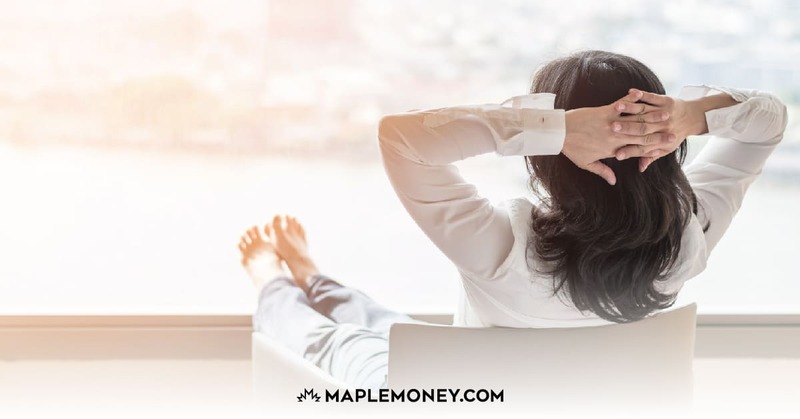 It’s usually possible to have your employer deduct money straight from your paycheque and put it into Canada Savings Bonds. That way, you know the money is safe, and that it will grow at a rate that usually beats a “regular” savings account. Plus, it’s a little more difficult to access that money. A better long term idea would be to set up a Tangerine savings account or a Wealthsimple account and have an automatic withdrawal a day or two after your pay date. It’s not your employer sending the money to your account, but an automatic withdrawal means that you don’t have to remember to make the transfer each pay period; it’s all done for you. You can also have money automatically transferred into your TFSA and/or RRSP. This way, you get a tax advantage that allows your money to grow more efficiently over time. You’ll bank more if you take advantage of the tools the government offers to encourage savers. It might even make sense to set money aside in an RESP account to help pay for your child’s college. I use Questrade (Free $50 in trade commissions) for my family’s RESP. It’s rarely a good idea to just save the bare minimum. When you’re first starting out, you might not be able to afford a 10% contribution to any savings. 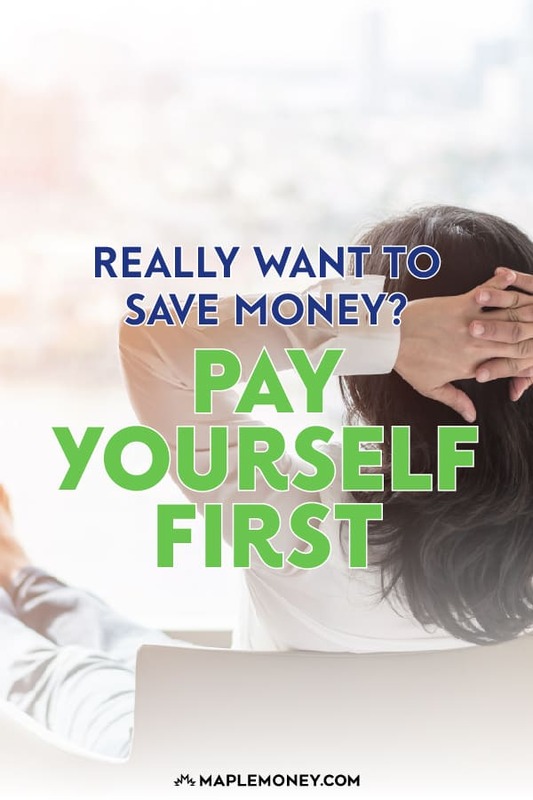 However, as you start earning raises, and as your financial situation improves, you should be able to save more over time. Make it a point to increase your savings with each raise. Not only will you be able to save more over time, but you will also avoid lifestyle inflation if you bank a large portion of each raise immediately. Lifestyle inflation can result in more consumption and spending, and can cause problems in the future, since the increased spending prevents you from saving as much as you need for eventual financial freedom. Follow this simple formula, and you will find that your accounts can grow quickly and you won’t likely miss the money. Once you’re comfortable living on the remaining cash flow, you can then accelerate your savings rate by saving the future raises you receive at work. Expand to carefully chosen investments, and you can boost your returns and build a nest egg or emergency fund that can handle just about anything. Saving should be one of our priorities. Your future will be secure and you might retire early if you’re good at it. Problem is the willingness of the person. I think everyone should realize that the best time to save is now. I have a first hand experience to that. When I started my career, the first thing I used to do was keep certain money for savings and then put rest of the income as disposable income. However, after sometime I found out that I’m suffering from depression for not being able to spend except for my bare minimum. That’s when I decided to keep a certain percentage of my income for sufficient personal and family income and then pace the rest for savings. In fact, this helped me spend enough (and help me get out of depression) and at the same time save 25% of the income. We’ve been applying the concept of paying ourselves for the past two years. The effect: we’ve paid off $24,000 of student loan debt, with only $600 to go. At the beginning of each month we put as much money as we think we can spare toward our loans. Then as the month progresses we find extra money if we don’t have enough for our monthly expenses. So each month becomes like a new challenge to see how much we can afford to “pay ourselves.” It is a whole lot of fun. One of the better recommendations I have is to make sure you have a TFSA, more so if you our age, 20-30’s pay yourself into one and don’t worry about taxes on dividends or interest even when withdrawing the funds. I tried to budget my money according to the JARS system, but I found it annoying to divide the money into several parts (55\10\10\10\10\5), I always had to get some change first. Now I use a very simple scheme of budgeting: 50% – needs, 30% – wants, 10% – for future. It can vary but it’s suitable for me. Paying yourself first is a different approach: It invites you to stop and think about what is really important to you. Do you want to save money for a better car, an emergency fund, your retirement or college expenses? Before you pay all of the bills, pay yourself first, commit to putting money aside for your top priorities. I so agree, after 30 years in this job, I would say if you don’t do this then its unlikely you will save once a year. A good tip is to put your RRSP refund back in your RRSP as soon as it arrives. After all, if you had it now you would likely just spend it. Some employers will take extra off your pay cheque, put it in a group RRSP attached to your RPP so you don’t even pay the tax upfront. Check the investment choices and costs, often if you don’t like them you can move it out occasionally to your own RRSP. Confirm your group RRSP provider doesn’t charge you for that but I have found most do not. I committed to “paying myself first” since my first paycheque. I made it a priority to save 20-30%. I never felt that I missed out on anything. I retired at age 50, house paid for, no debt, living frugal, but enjoying life!